This is the best conference in the industry to help today’s credit union executives and board members lead their credit union confidently into the future. It’s the perfect opportunity to bring your entire leadership team, so you can learn, workshop and strategize together! Plus, build a stronger network of credit union CEOs, executives, board members and supervisory committee members from around the country. And it all takes place in a city The New York Times ranked #1 on its Places to Go 2018 list—New Orleans! Earn your NAFCU Certified Volunteer Expert (NCVE) designation at our optional Pre-Conference Workshop. 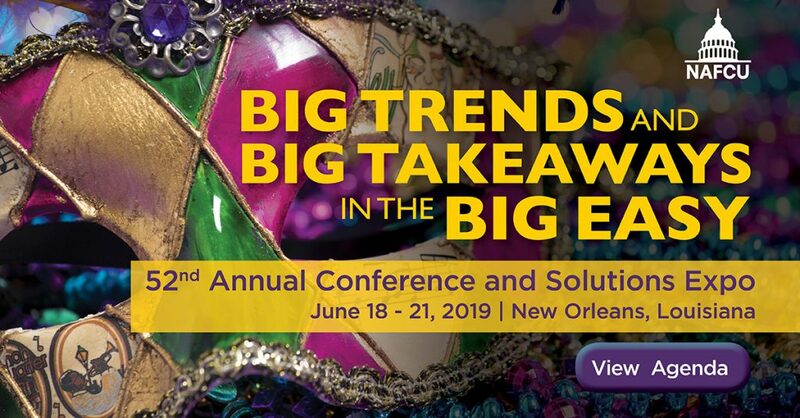 Gain from Big Change: Engage in an expert discussion around emerging industry trends to help your credit union identify opportunities and mitigate risks. Better Your CU with Big Talent: Learn how to excel at attracting and retaining top talent at all levels of your credit union and board. Maximize Opportunities from Big Disruptors: Get insight into technology now and into the future, from fighting fraud with machine learning to meeting member expectations for product and service delivery. Grow from ‘Going Big’: Uncover actionable takeaways for achieving rapid growth at your credit union, efficiently and effectively. Give your guests an unforgettable experience in the Big Easy with our optional tour package that includes food in the French Quarter, a New Orleans city tour, musical history, a bayou cruise and more. 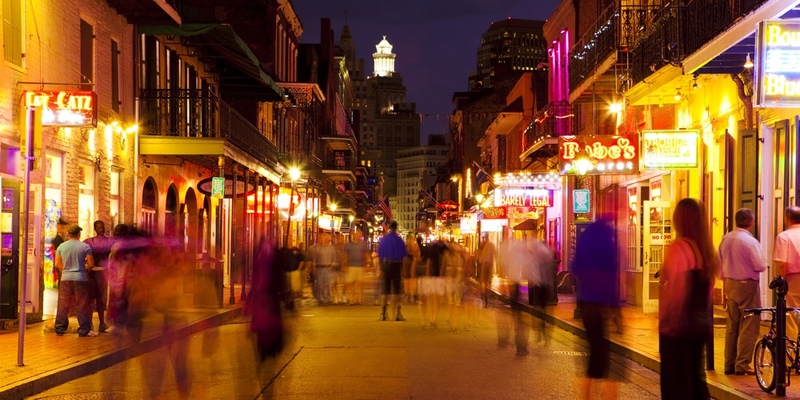 The Big Easy is famous for its delicious food, unique culture, vibrant music, and much more. The city crackles with energy best summed up by the Cajun phrase “laissez les bon temps rouler”…let the good times roll!—and our tours ensure your guests see New Orleans’ best attractions firsthand. Learn how to recreate the magic of New Orleans cuisine with a quick tour of the French Quarter followed by a cooking class in Creole cuisine. Afterward, your guests will enjoy delicious dishes during a relaxing lunch. From the French Quarter to the majestic mansions of St. Charles Avenue, this fascinating tour of the city’s many unique neighborhoods ends with lunch served at Ralph’s on the Park. It’s a true tour for getting a real sense of New Orleans’ true spirit and proud history! This musically-focused day includes a tour of the New Orleans Jazz Museum, a special two-hour walk through musical hotspots with reporter Chris Rose, and concludes with a tour and lunch at Antoine’s Restaurant in the French Quarter. And so much more…including our Credit Union Defense Summit, paddleboat cruise, and a special Friday night event. Join us! You don’t have to be a NAFCU member to attend. Use code ANNUALSAVINGS by April 26 to save $200 on as many registrations as you wish.